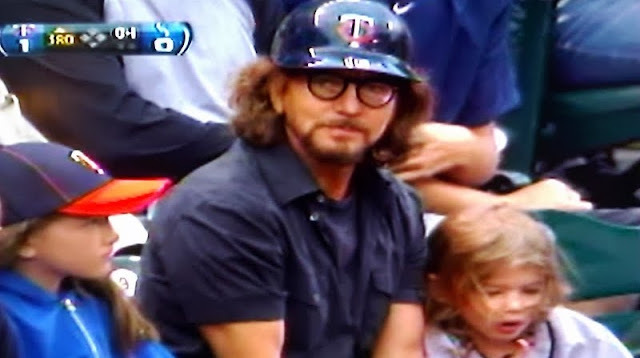 This weekend, Ed stopped by the clubhouse of "his favorite American League team," the Twins to play a few Pearl Jam tunes to psych up the team. "Some people in Seattle don't want to hear this, but he says we're his favorite American League team," Justin Morneau said, smiling as much over that over his double and home run that helped the Twins to Saturday's 4-0 win over the Mariners. If you're itching for more Ed/baseball connections, check out AlternativeNation.net's interview with Reds pitcher, Bronson Arroyo, about his love for Pearl Jam.